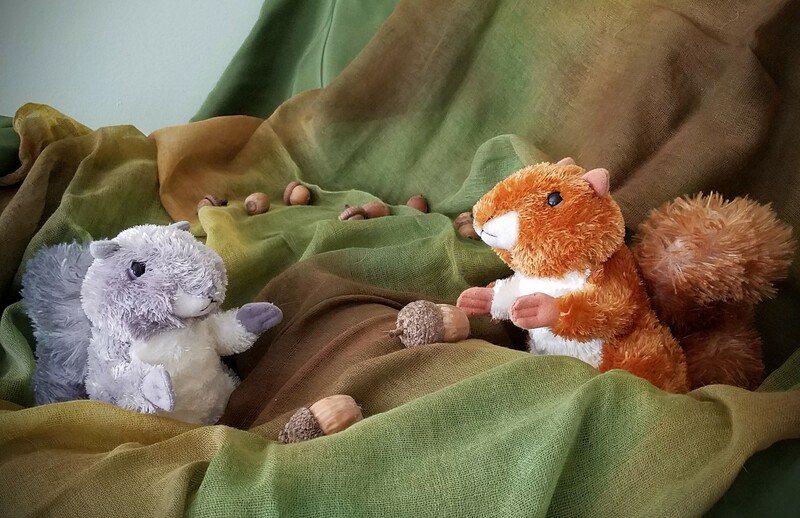 Gathering nuts to nibble and crunch, saving them for winter’s lunch! Won’t you stop and play with me? No, no, no, I’m busy you see! We were at the beach and my child was playing with a silk scarf, completely immersed with it and the sand. I love that toys are not a necessity, you just use whatever natural element is available to you in your context and flow with it. I had an interesting moment that day because it seemed we were the only ones at the beach doing this; everyone else had a bag full of plastic sand toys. So a lady came over and laid down a bunch of her toys for my daughter to play with, as her little girl had many. I guess it was strange for us to not carry a bunch of toys to the beach. It was a bit awkward because I felt momentarily as though I wasn’t properly prepared with my child, and I couldn’t explain to her either that no, we would rather just play with the scarf and the sea shells and the sand. I think that is what is so magical about children putting their entire body, soul and spirit into everything they do, with complete presence. We often think of preparing with “stuff”. (It’s not just the Boy Scouts whose motto is: Be Prepared.) I love Sol’s story, because it reminds me that by allowing our children to play with simple things (sand or a stick or a silk scarf), we are preparing them for a lifetime of learning and creativity. What preparations will you make this week, both material and non-material? As we approach cooler weather, our thoughts turn to warmth. 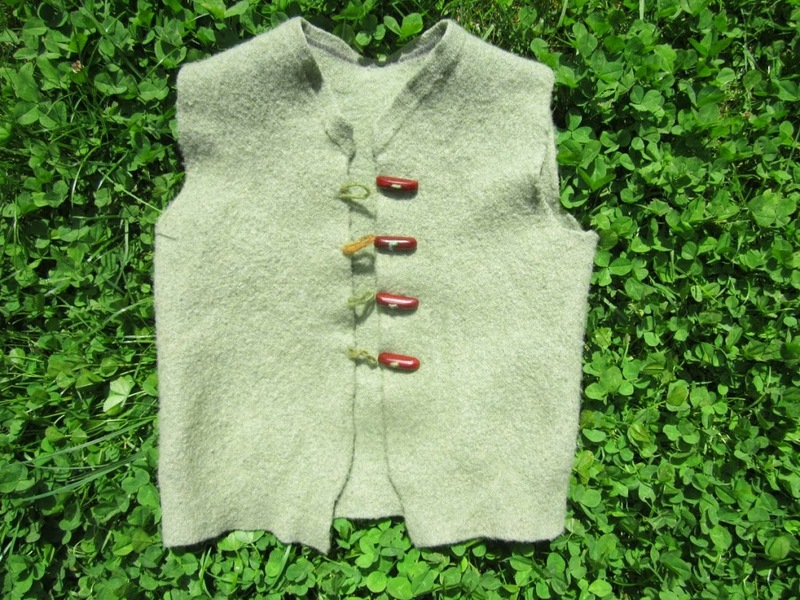 One of the most satisfying parent evenings I ever hosted was one in which we talked about the importance of warmth for the young child, and each parent made his or her child a felted wool vest to wear during their outdoor play time at LifeWays Milwaukee. 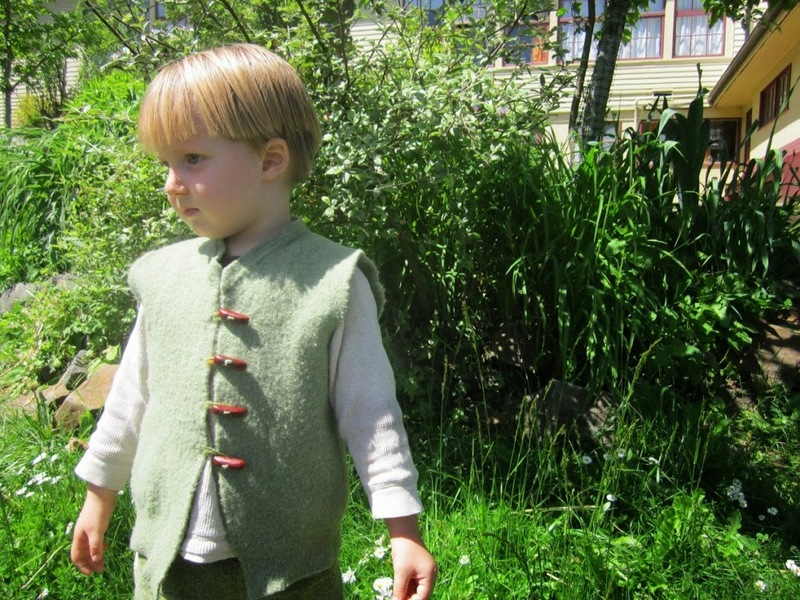 It was an easy, social activity for the parents to do together and the children loved their special woolly vests made for them by their parents. 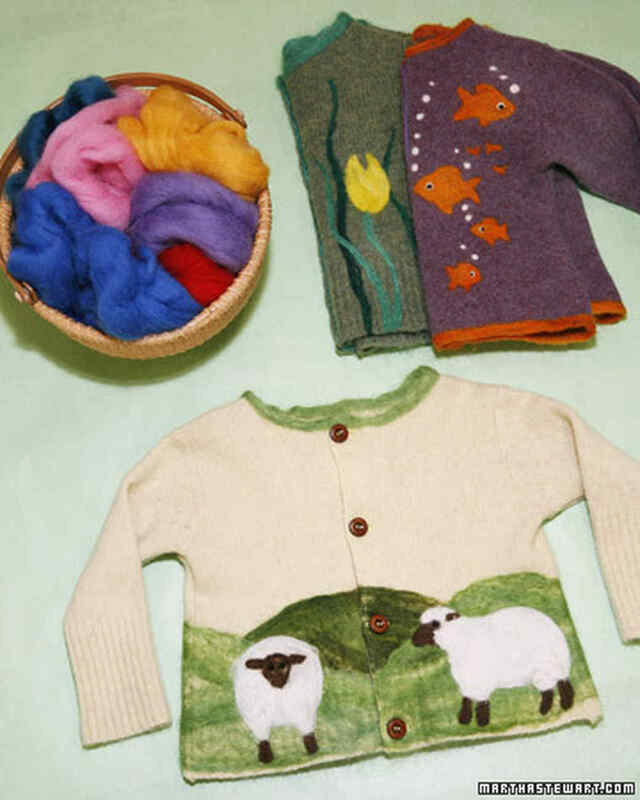 And, if you want to get fancy, here is a free decorative sheep pattern to add, for all you needle felters out there! Spring and fall are the times when we wash windows at our house. This is a chore little ones love to help with, because squirting and wiping are fun! 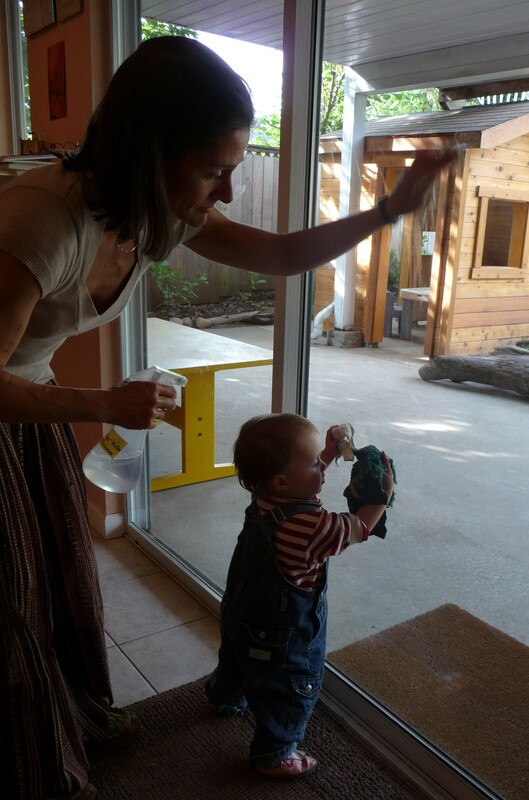 An all-natural cleaner in a child-sized squirt bottle keeps everyone safe and engaged. Green Living, from National Geographic, recommends this simple recipe, plus a few extra tips for the best window cleaning outcome. In a spray bottle, mix 50% distilled vinegar (white) and 50% tap water. For extremely grimy glass, prewash with very soapy water, then go to the vinegar spray. Got highly resistant spots? Try rubbing hard with a cloth dipped in undiluted vinegar. Life is the Curriculum, by LifeWays founder and executive director, Cynthia Aldinger. They flick and they flitter as they play hide and seek. 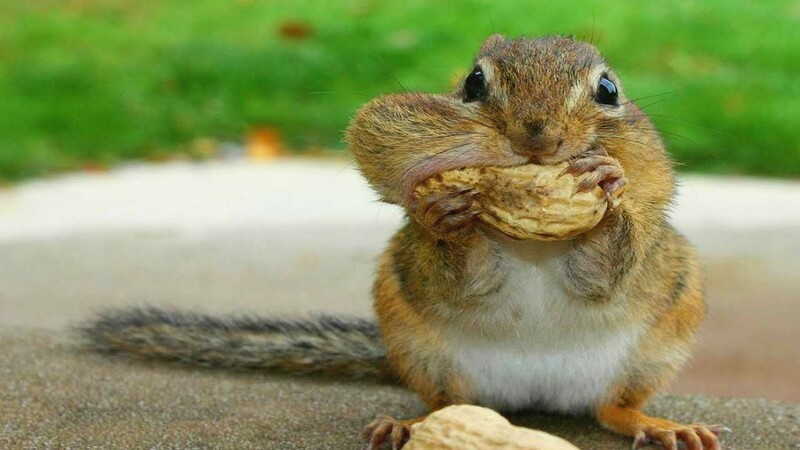 From nibbling and storing and play. Where they’ve built their tousled twig dray. And Mother Wind rocks them, and sings them good night. Knowing that Old Gnome is guarding them there. List your program on the LifeWays website! 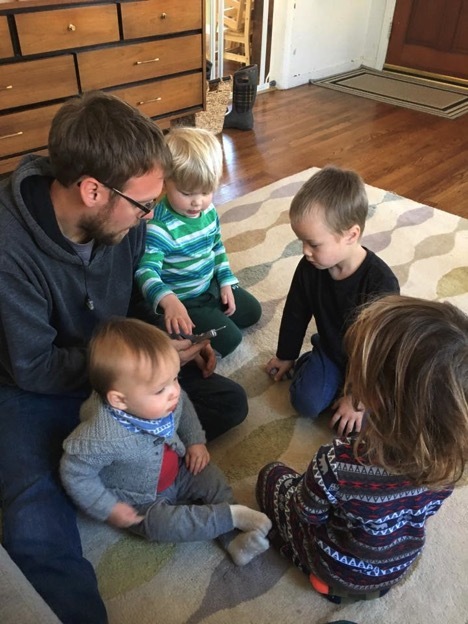 Do you have a childcare program? Please consider listing your program on the LifeWays North America website! Graduates from the LifeWays EC Certification Training, we have a special category just for you! Your listing helps support an organization you love — it’s an easy way to give back. For those of you who haven’t yet taken the LifeWays EC Certification training but feel you are aligned with LifeWays’ principles, listing on our website is a great way to promote your program to like-minded families! Click here to learn how to list your program today!